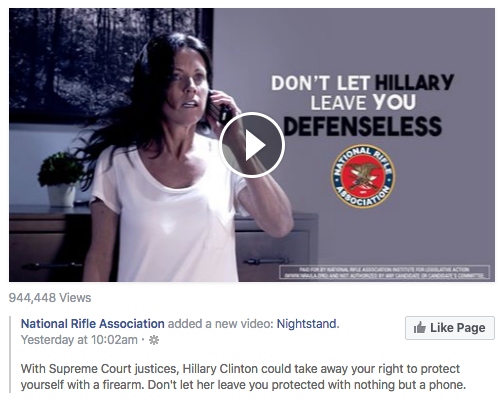 Like many, I have plenty of friends and family on Facebook passing around the scary “Hillary will revoke the second amendment if voted“. Like few, I am annoyed and concerned at the ignorance many shows when believing this. I feel this way because many went to the same high school I did, SAIL High. At that high school, we had a teacher who taught US Government. That course was a required course for graduation. I know there’s a few of you right now pondering why I used the word “ignorance”. It’s not a word I like to use, but in this day and age, I must. I am not the smartest person, nor am I the dumbest. I have retained some of my education enough to act as a civil member of this nation; a nation falling apart because many aren’t smart. I know, that’s a rude way to put it, but it’s true. I remember seeing an article many years back of Harvard conducting a study and finding that 80% of the content shared on Facebook pertaining to US politics was made up or over exaggerated. A new amendment repealing the amendment in question. It must be done exactly the same way because the repeal itself is an amendment. An amendment to the Constitution legally becomes PART of the Constitution and is, therefore, part of our national law, indivisible from it except by the Constitutional provision for changing the Constitution. It cannot be minimized; to be removed, it must be repealed by a new amendment. To begin, a proposed amendment must be voted approved by a 2/3 majority of both legislative bodies of the US Congress. The Proposed Amendment must then be sent to every individual State’s legislature for consideration. Each state follows its own parliamentary process to arrive at a yea or nay on the Proposed Amendment. For the Proposed Amendment to become a Constitutional Amendment, 3/4 of the individual American States must vote a final yea. With the current body of States numbering 50, the required number of State ratifications to adopt the new amendment is 38. Upon the confirmation of the 38th yea, the Amendment becomes part of the Constitution, amending, or changing, whatever the subject of the amendment covers–whether it be a new cause, or eliminating an old Amendment. Incidentally, this is why there never going to be a repeal of the 2nd amendment–there will never be 38 States voting to take our guns. So with this in mind, I arrive once again to the ignorance I see on social media. Legally, how is it possible for just the president and a few justices to do this? I point this out time and time again, but each time, all I get is ignorance. Politics aside, I feel that many would fail a basic constitution test at the junior high level. The proof is clearly visible and alarming. If you are one of these people, please, please, PLEASE read the constitution, or at least confer with someone who knows it before passing false information to the ignorant mass. With many at this intelligence level, I’m afraid to see what the next election cycle brings. Will we have more outrageous and outlandish lies shoved by organizations we respect out of the political season? Will the population en mass be able to even handle finding the truth for themselves? This is a scary time folks, and we as Americans need to change it. Not tomorrow, not next election year, but now!